This publication has been conceived as a way of presenting to the academic community and other audiences the valuable international scientific collaborations established or developed within a European research network, the Action COST A27 Understanding pre-industrial structures in rural and mining landscapes (LANDMARKS). All the contributions have been prepared by members of the Action belonging to different national delegations, as a small sample of the mutual benefits of the co-operation developed in the frame of the LANDMARKS project. The nature of the contributions is quite different, reflecting the wide scope of topics and perspectives that have enriched the Action's activities. Some of them present results of commonresearch; others focus on discussions on theory, methodologies or techniques; a third category offers debates or dialogues between different approaches; finally, a few advance emerging themes or new perspectives opening the door to future collaborative research programmes. 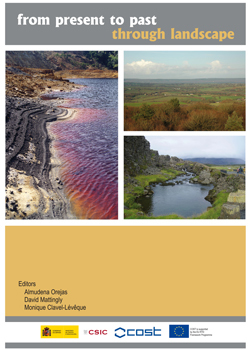 The major axes that articulate the different papers collected in this publication are: The construction of a theory for landscape studies, able to connect fundamental and applied research; Strategies for recording and characterising landscapes and landmarks; Specific proposals for protection and Management; Scientific and social approaches to landscape through perception, presentation and valorisation; Landscape studies and policies. This book is the result of a desire of the members of Action A27 to contribute to the construction of an interdisciplinary and socially relevant research field on cultural landscape studies. Transnational collaborations ensure an added value and open new possibilities of common understanding and shared initiatives beyond the different academic traditions and legal/administrative frames. This cooperative approach, based both on particular (local, regional, national) and collective (international) experiences, should constitute the core of the innovative and imaginative issues to be raised. This book was added to our online catalog on Friday 09 September, 2011.